This hydraulic net hauler handles all types of seine nets, trammel nets. Its got a V shaped, aluminium drum, Ø400mm, width 185mm. The big grooves in the drum gives the hauler great grip which enables easy and safe hauling. 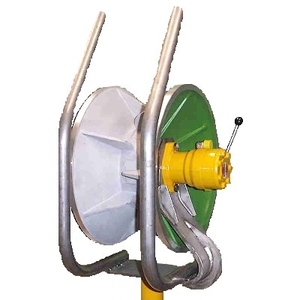 Built in cast marine grade aluminium and stainless steel, it has a hydraulic distributor and a pressure relief valve. The quotation request was sent.